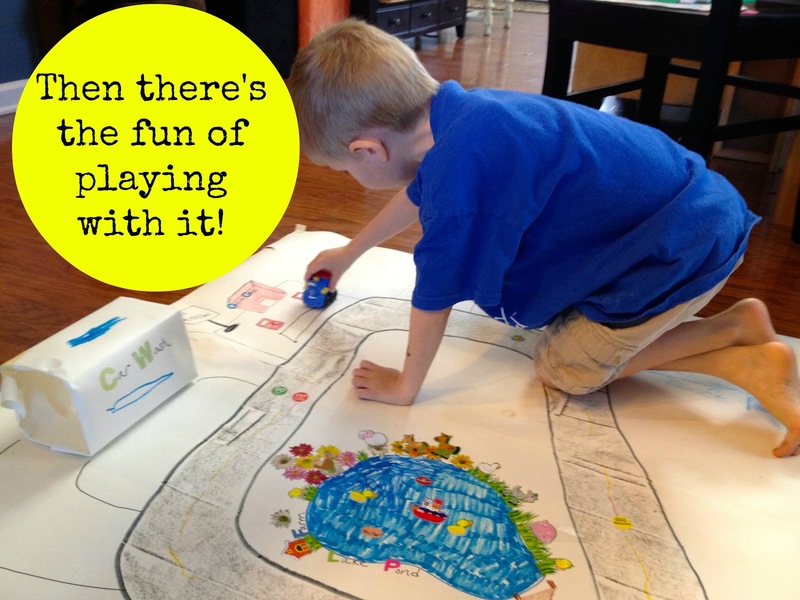 Comments Off on Make a Play Mat! Build Letter Knowledge! My Little Reader has been really into Tonka’s Chuck Trucks lately. They have a Chuck Truck show on Netflix, which is the driving the force behind this current obsession of his. 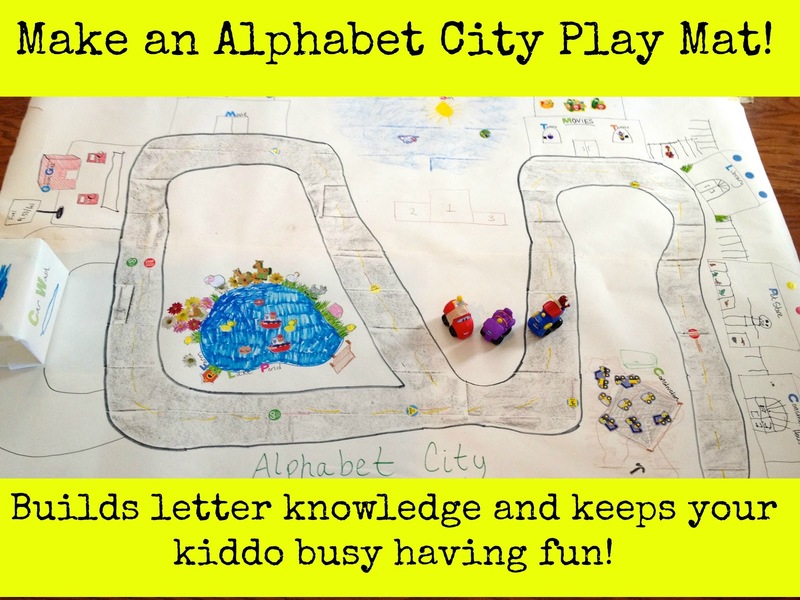 I decided to give the activity an “Alphabet City” theme so we could work in some letter-knowledge practice as well! He loved it! 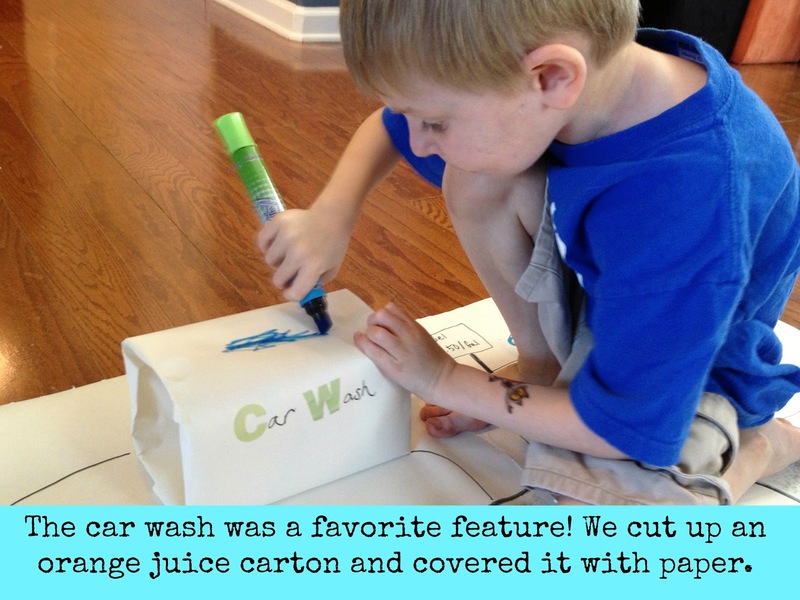 You don’t need any fancy supplies to make this. Basically just some big paper and some crayons (see above). 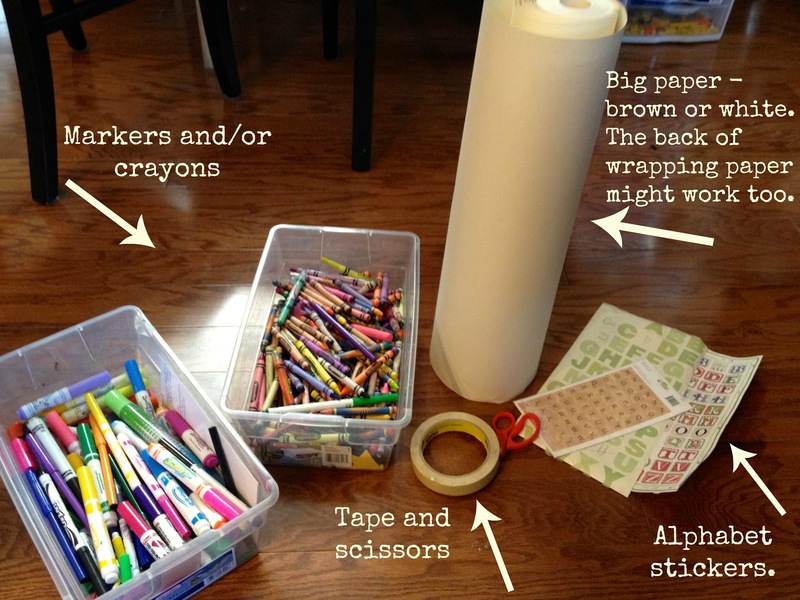 If you don’t have a roll of large craft paper, the plain side of some wrapping paper might work as well. We rolled two lengths of paper out side by side to get the size we wanted and then used the tape to attach the two pieces together on the back. Then we got to drawing! 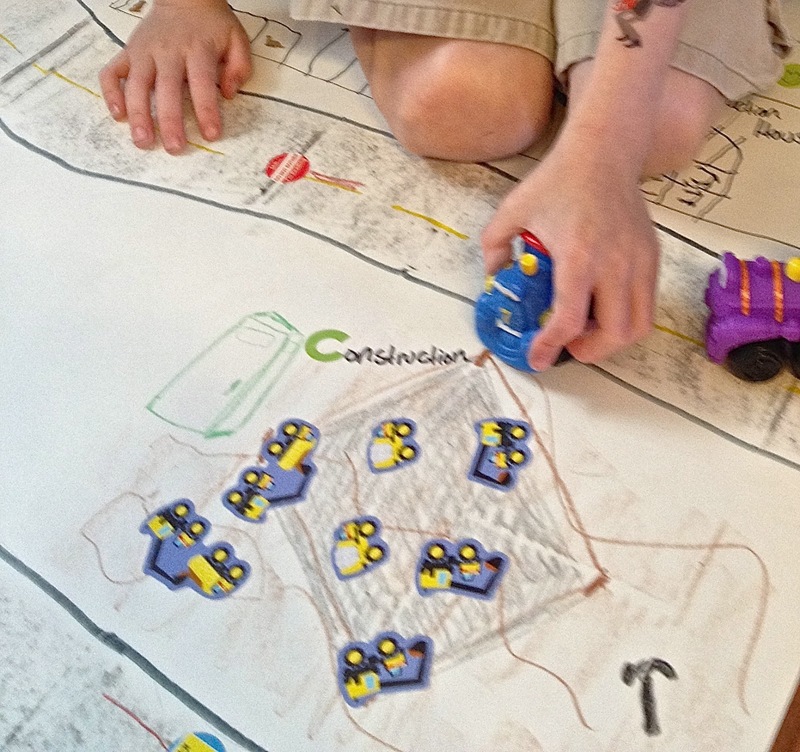 My son and I worked together to draw a variety of features on our mat: shops, library, pond, gas station, etc. 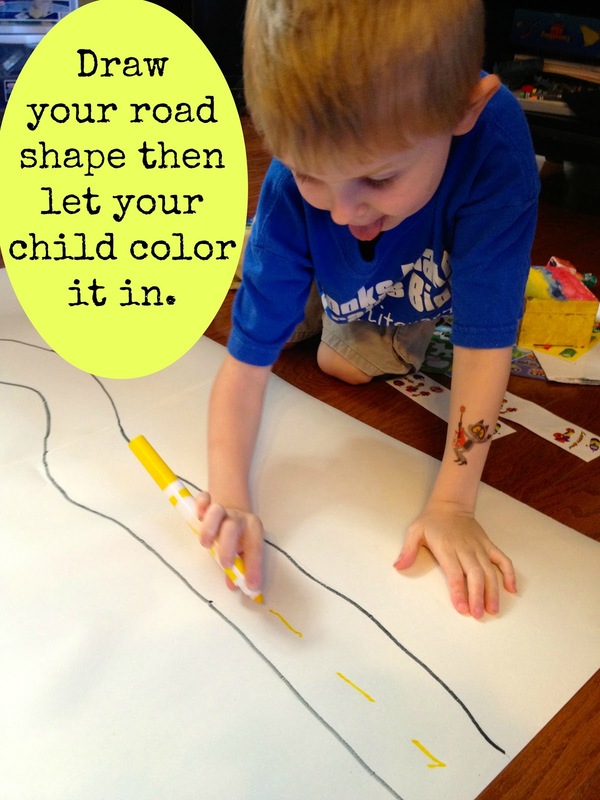 Be creative, and let your child come up with the ideas as much as possible. My son was struggling to think up some ideas, so I drew some generic buildings and then pointed to each and asked, “What should this one be?” That helped kick-start his ideas. 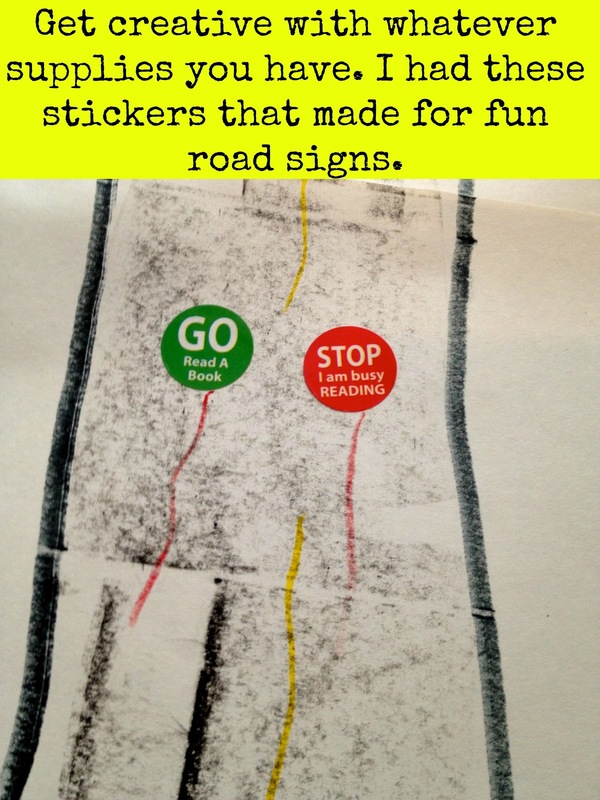 The fun doesn’t stop when you’re done drawing!